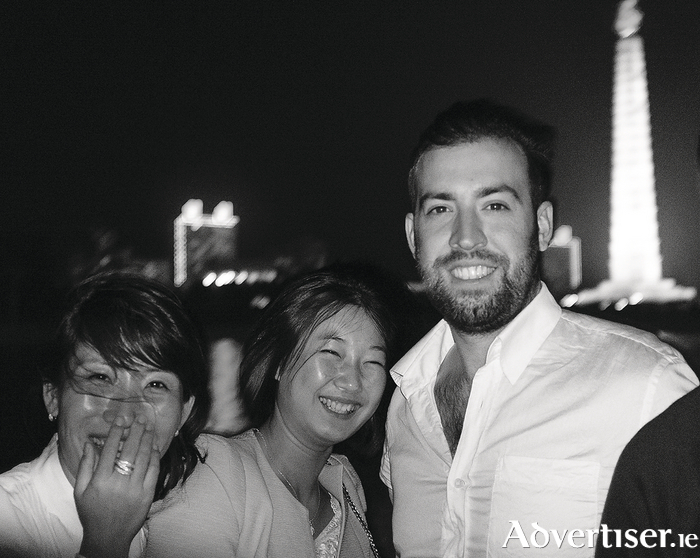 Having left Ireland for New Zealand in 2009, Horan has been based in Beijing, China for the last three years, after stints in Australia and Asia, where he works as the international tour manager at Young Pioneers Tours (YPT ). The NUIG graduate says travelling has always been a passion of his and when a job opportunity at YPT became available, enabling him to travel to places like North Korea, it was something he grasped with both hands. “I have a degree in geography from NUIG so I have always had a fascination with foreign cultures, people, photography, and combining all three. North Korea’s reputation precedes itself with stories of poverty, a dictatorship, and foreigners being arrested for minor actions which are seen as hostile acts against the country and harming the dignity of the supreme leadership being circulated by various western media outlets. The outcome of this coverage leads many to believe it is place to stay well away from, never mind go for a holiday visit. However, Horan believes the country’s description by the media can be over the top. “About 80 per cent of what is written and reported online about the country is myth. Nobody really knows what goes on there so anyone can write what they like and expect people to believe it, because it is North Korea and it sells. Having said that, there are a few documentaries and books out there that do depict the place in the most accurate way as possible. For those wishing to disregard the media reports and travel to the country, Horan says there are many things to do and see from visiting the various towns and cities outside the capital Pyongyang to chilling out on the beach and having a beer in the pub. However, if North Korea is not your cup of tea, Horan says he also runs tours and research trips to other tourist ‘not spots’ such as Chernobyl, Transnistria (breakaway from Moldova ), Iran, Iraq, Lebanon, Somalia, Ethiopia, and Eritrea over the coming months. Although Horan has a great love and enthusiasm for the job which allows him to travel to remote outposts where mass tourism has not yet struck, and meeting like minded people, he does concede that the bureaucracy and red tape that goes along with organising travel to these unique destinations can be drawbacks at times. “There is a reason they [the countries] are difficult to get to. The lengthy visa/permit process and arbitrary visa denials can cause quite the headache. Once I was applying for a Uzbek visa. My application was promptly refused based on my assumed ties to ISIS because of my medium sized beard. With new tours and more countries to explore, Horan harbours ambitions to stay in Beijing to help foster development and cultural engagement between not only North Korea but other so-called ‘rogue states’ and the outside world, while also opening up even more global destinations ‘that your mother would rather you stay away from’. But does the man originally from Lakeshore Drive in Renmore foresee a return to Galway some day?